What is a good way to cook Turkey Chops? How should turkey chops be cooked so they are tasty? Is a cast iron pan needed or benefitial? 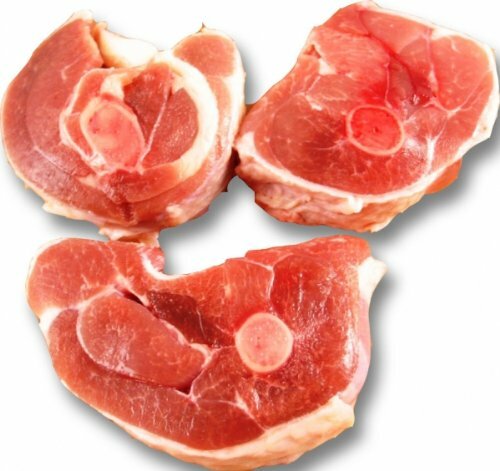 These are sections of turkey leg (drumstick) cut as to appear like a non-halal/kosher bone-in cut of meat, like a pork chop. The flesh is turkey, and hence not as robust as pork - treat more like a veal or lamb chop in terms of cooking technique, but season like pork or poultry. Here is a thread on Chowhound discussing various ways to prepare and serve. Not the answer you're looking for? Browse other questions tagged meat cast-iron turkey cutting or ask your own question. Is there a good way to cook a hamburger on a cast iron skillet? What should I do with a turkey after roasting but hours before dinner? How to cook ground turkey so it remains more clumpy and chunky? What do I do if my turkey is done way too early?